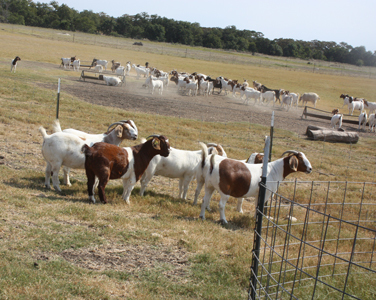 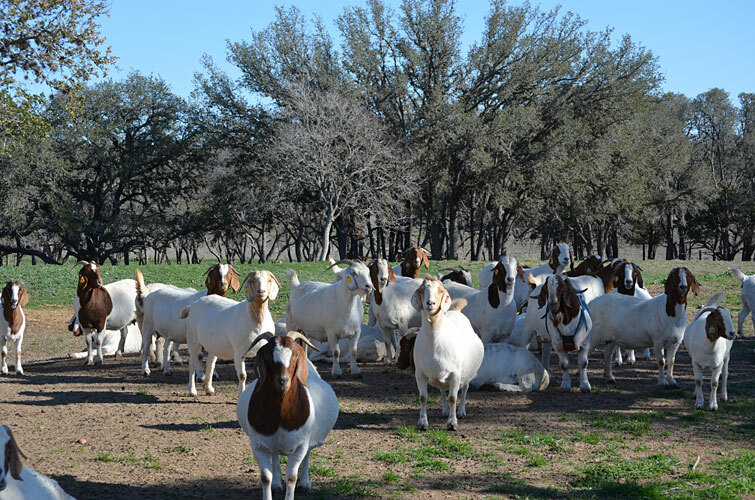 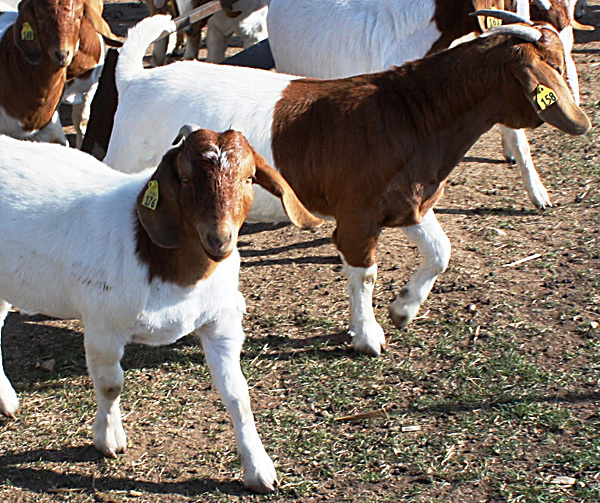 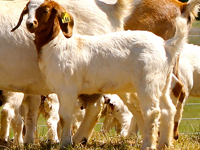 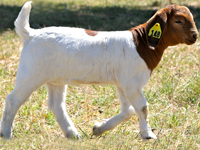 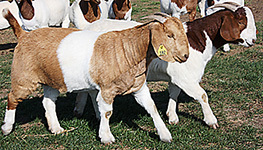 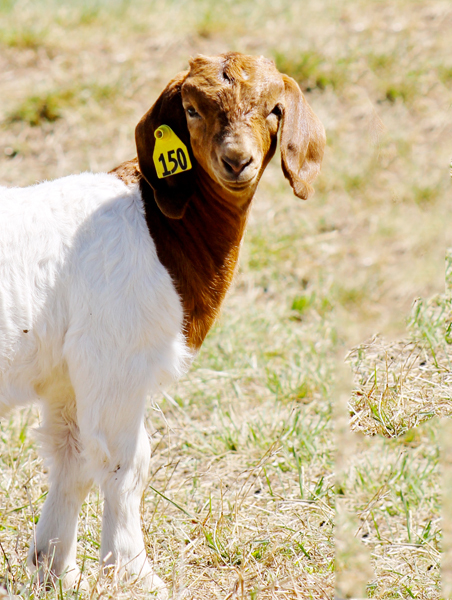 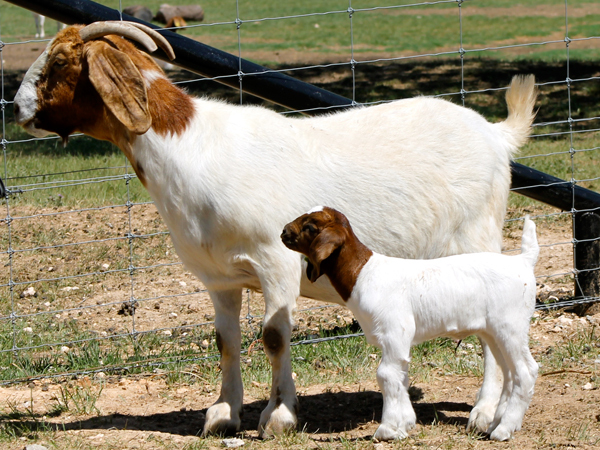 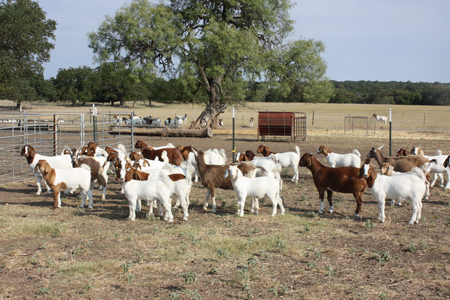 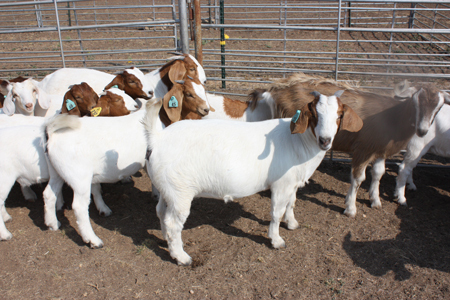 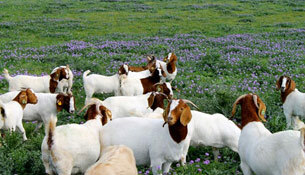 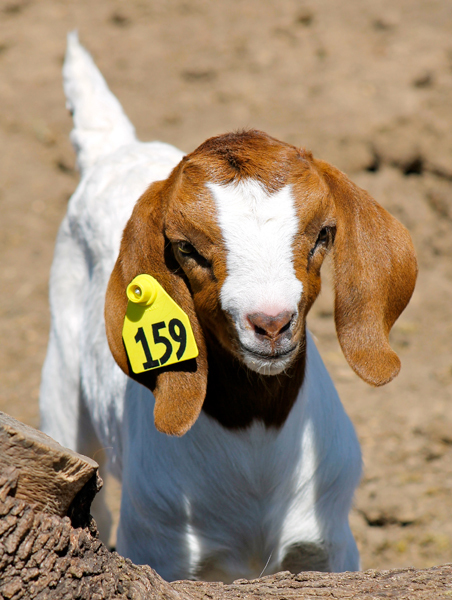 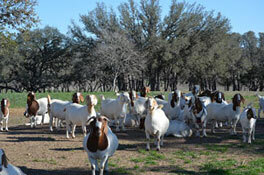 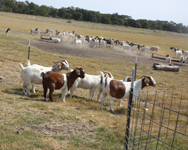 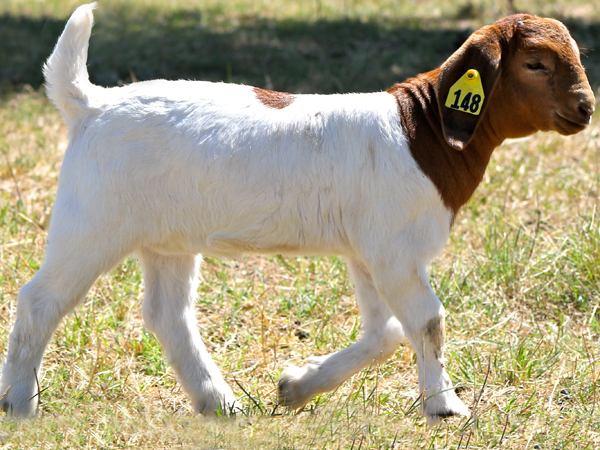 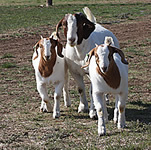 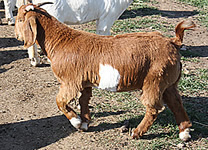 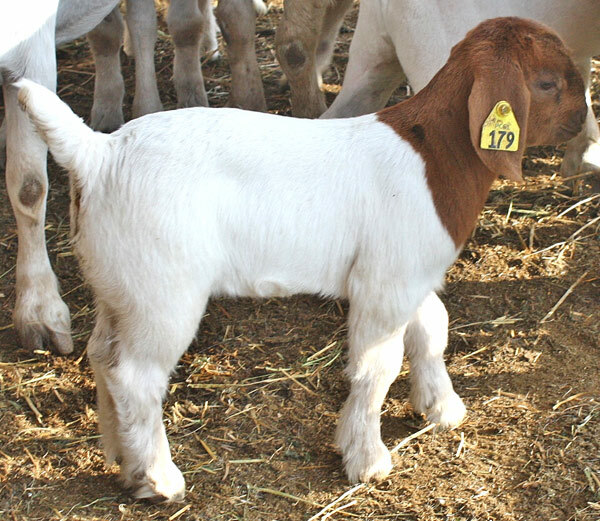 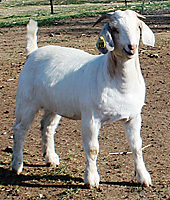 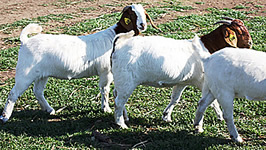 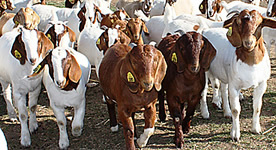 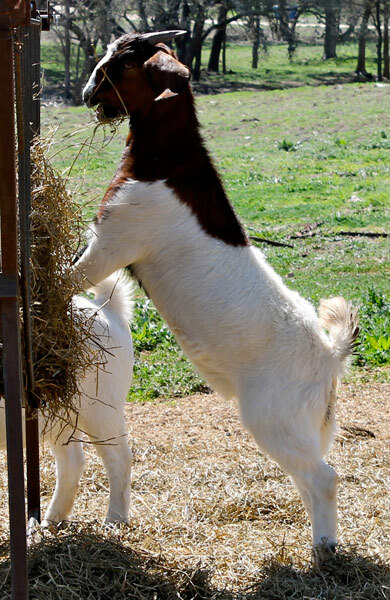 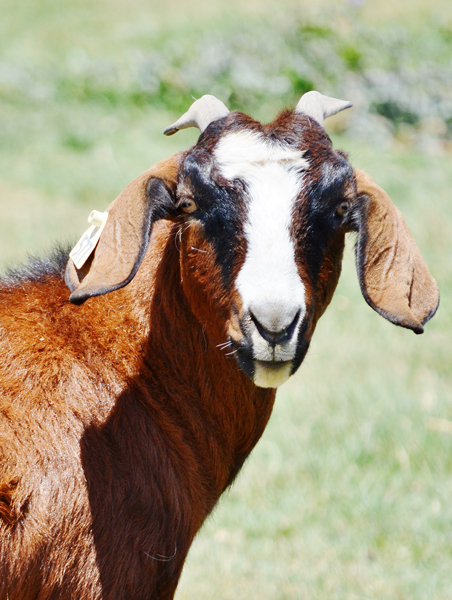 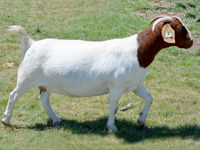 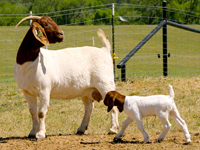 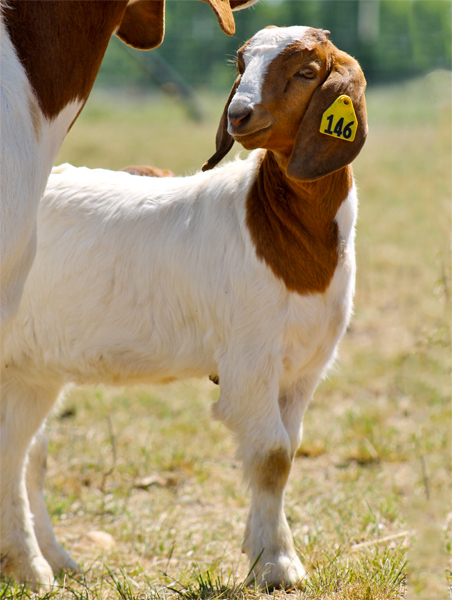 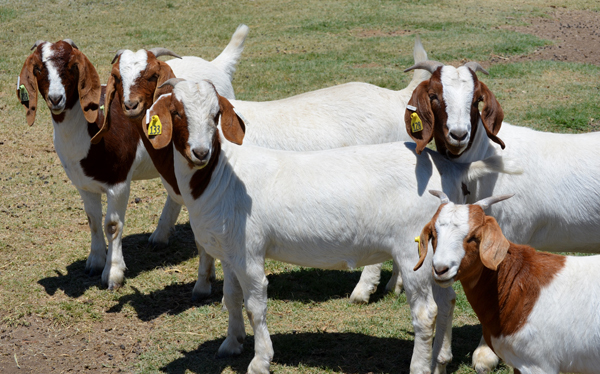 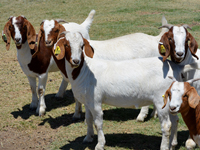 The base genetics of our doe herd comes from Connie Ross, Agnew Boers, Oakridge Farm (Billie & Sherri Hall), Kelly Meat Goats and new additions from Schafer Farms, No Step Ranch, Silvergate Farms, and N&K Ranches. 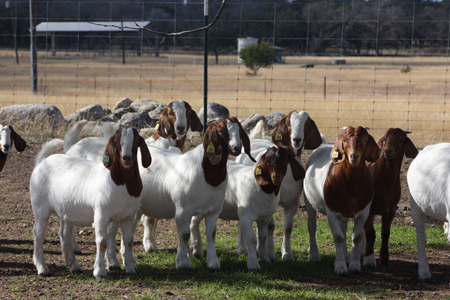 We have been continually upgraded our doe herd with annual purchases and a "hard" culling practice to create the upmost uniformity. 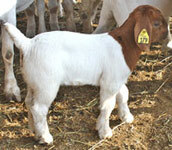 We are very excited at the progress we have made; which is exemplified in this years kid crop.